We are one of the leading companies that export a wide array of Grah Beej Herb from India. These are considered as an as an ayurvedic medicine. It is very effective for knee pains and etc. CJP have developed best variety called SRIPHL CC3 with more seeds and more oil per ha with early flowering and fruiting. 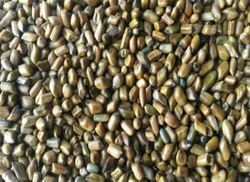 We are the eminent Exporter of the finest quality Mahleb Seeds to our clients. Enriched by our vast industrial experience in this business, we are involved in offering an enormous quality range of Organic Basil Seeds. We are a renowned name that is actively committed towards offering qualitative Anis Herb Seed. Our provided Anis Herb Seed is available in various packaging options for our clients. It has a strong, pungent odor and flavor similar to pepper and anise. They contain thymol oil, which gives a taste reminiscent of thyme. It is used in lentil dishes, vegetable parathas, pakoras and meat dishes. Mucuna bracteata is a native of India and adjacent countries. A thorough study was carried out on its suitability to use as a cover crop in Rubber plantations in India by R.Kothandaraman. It was found to have all the desirable characters of an ideal cover crop. (Kothandaraman et.al . 1987) . 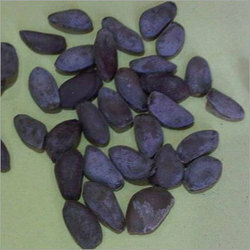 For your requirement of Mucuna bracteata seeds, please contact us.